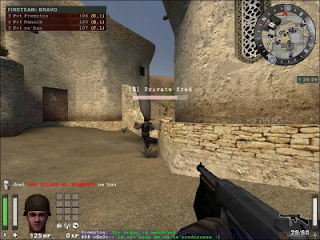 Wolfenstein: Enemy Territory is a First Person Shooter (FPS) game which can run native on Linux. It's a free and opensource online multiplayer game set during World War II and was originally planned to be released as a commercial expansion pack to the popular FPS game Return to Castle and later as a standalone game. Enemy Territory can be played over the Internet or Local Area Network. Player interact with each other over a network, in two teams Allies and Axis to defend or destroy mission objectives. There are six classes of character in this game. Each character class has several unique abilities. Those classes are soldier, medic, engineer, field ops, and covert ops. Once installed, you can open Enemy Territory via menu or type "et" (without quotes) in Terminal. For further information, below is a video shows the gameplay of Enemy Territory. Enjoy!